Graceful ‘Scottish Highlander’ travels on Scotland’s Caledonian Canal and Loch Ness between Muirtown and Banavie, a route that includes canal, loch and river. 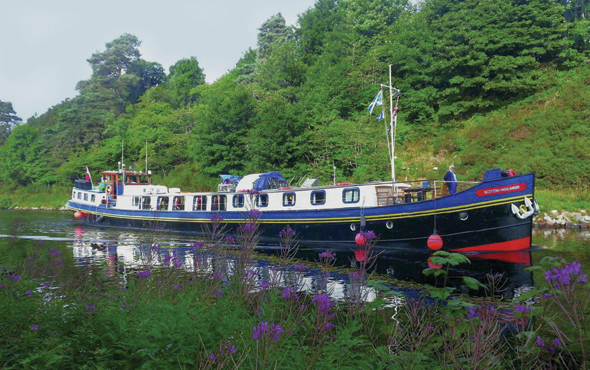 This is inland cruising at its finest, passing ancient castles and heather-clad hillsides. Visit Glen Ord whisky distillery, where you learn whisky-making secrets and enjoy a dram or two; stop at the Glencoe battlefields; and keep an eye out for Nessie as you cruise fabled Loch Ness.